Our state has a diverse and dynamic economy. Yet, a large share of Californians live in poverty, wages for the typical worker have been stagnant over the past generation, and the gap between the wealthiest and the less well-off is widening. 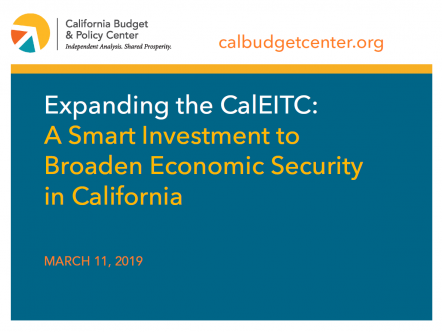 Through our analyses of employment, incomes, and overall economic security, the Budget Center seeks to shed light on state and regional trends while highlighting potential policy approaches for helping low- and middle-income Californians to advance. 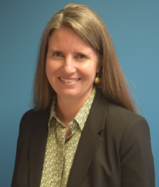 This guide provides an overview of how earned income tax credits (EITCs) support families, children, and communities and shows how Governor Gavin Newsom’s 2019-20 budget proposal to significantly expand the California Earned Income Tax Credit (CalEITC) will impact state residents with low incomes. This report discusses the racial wealth gap by exploring underlying historical context and some key factors that drive the wealth gap. This report also lays out a set of policy options that could help California and the nation ensure that all families have the opportunity to build wealth. This Data Hit shows that poverty is more prevalent among families with kids in California than the rest of the US and underscores that growing up in poverty can have lasting, harmful effects. How Much Do Working Families and Individuals Benefit From the CalEITC?